For most people, there is perhaps no other drink as well-loved as coffee. Whether it is early in the morning, late in the afternoon, or at the middle of the night, having a caffeine fix will definitely be satisfying. The problem, however, is that most people cannot make the perfect cup at their homes or offices. To make sure of having great-tasting drink all the time, there is one thing that you will need – the best one cup coffee maker. With a coffeemaker, you can brew a single cup at a time without having to wait long. It is going to offer convenience and affordability. You will no longer have to buy from expensive coffee shops as you can make your own drink without requiring too much effort on your end. This is as long as you have the right machine. Thinking of which one to buy? Do not be left guessing. Be a well-informed buyer by reading the rest of this guide. We will have short reviews of some of the top options that can be taken into consideration. We will also provide you with insights on some of the most important factors that will affect your purchase decision. In this section, we will have a quick look at three of the best options that you can consider, including their features, pros, and cons. 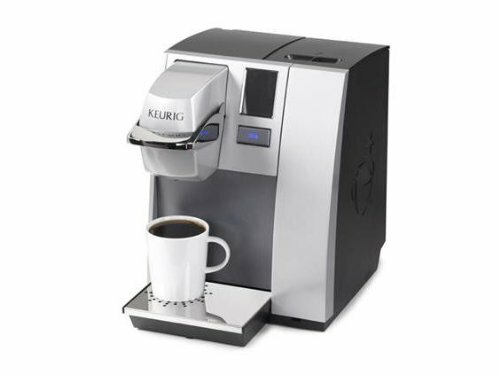 This is another model that is made by Keurig, one of the most established brands on the market. Based on the reviews of its users, one thing that they loved the most is its versatility. As the user, you will have complete control on how it can be used. For instance, it has variable temperature control, with 192 degrees Fahrenheit being the maximum. You will also have the option to choose from three cup sizes – 6, 8, and 10 ounces. This model comes with a 60-ounce water reservoir. The size of the tank may not be that generous, but it is pretty much impressive, especially considering the fact that this is a one cup coffeemaker. It is also a good thing that the tank is blue-lit, which gives it a hint of style. If you are looking for a product that is easy to use, this is also an option that will be well-loved. The one-touch control panel will make it a snap for you to operate. It is also backlit, allowing you to easily see the display even when it is operated in the dark. The screen is large enough for you to easily monitor the functioning. When talking about value for money, this is also going to be an impressive choice. It is a good thing that it comes with 12 K-cups. Nonetheless, even with the inclusion of such, many have also asserted that it is expensive. If you are on the lookout for an option that is budget-friendly, this is not the product for you. 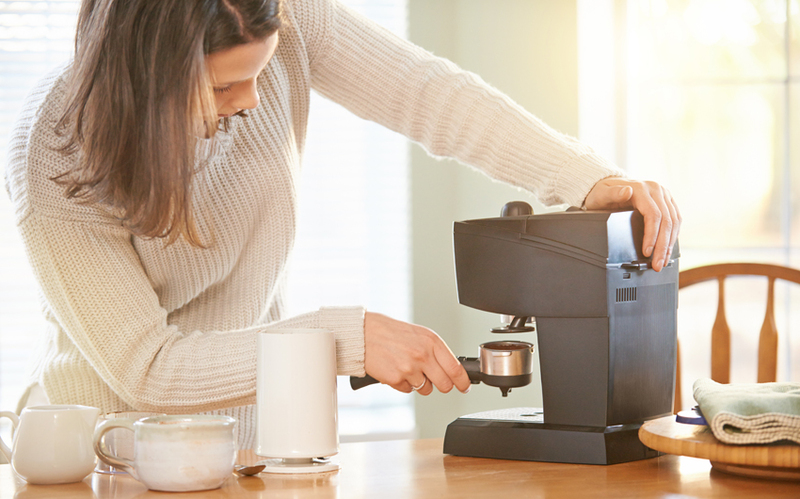 Some one cup coffeemakers are made for home use, but there are others that are meant specifically for commercial operations. This model is one of those that are meant for commercial use. Whether it is in a busy office or in a coffee shop, this is surely one of the options that can prove to be excellent. If there is one good reason to have it chosen above all others, it would be the fact that it is made by Keurig, one of the most popular brands on the market. It is the same company that has introduced K-cups. This is going to provide you peace of mind when it comes to dependability. The large water reservoir is also going to be impressive. It can hold up to 90 ounces of water. This is going to be excellent for convenience. When it comes to being user-friendly, this is also going to be a commendable option. One of the things that makes this possible is the touchscreen display. This is going to easily show the information that you need to monitor its functioning. It is also going to make it effortless to input the desired settings. The automatic shutoff function is also excellent because you do not need to be right on its side all the time. You do not need to wait for a long time before your coffee is going to be ready. As many users shared, after pressing the button, you can expect to have your cup of caffeine within just 60 seconds. The removable drip tray is also a good thing. This is going to catch any drippings to make it mess-free. In addition, this also means that you can use even larger mugs. Just remove the tray and you can fill even taller cups. If you are looking for the best one cup coffeemaker that can be budget-friendly, this is one of the options that can be taken into account. Its economical price is one of the best reasons to choose it. However, because of its price range, do not expect a lot about this model. It is perfect for home use, but it lacks advanced features that can be typically seen in the models from the higher end of the market. This is also a machine that is user-friendly. Even if you have not used any coffeemaker in the past, this is surely going to be a snap to operate. There are no complicated buttons, which is one of the reasons why it is a good choice even for beginners. There is only a single button that you need to press to get started with brewing. Cleaning is one of the most important to retain the superior quality of a one cup coffeemaker. With this model, you do not need to exert too much effort or waste a lot of time to have the unit cleaned. There are few removable parts, which will help to make cleaning a breeze to accomplish. 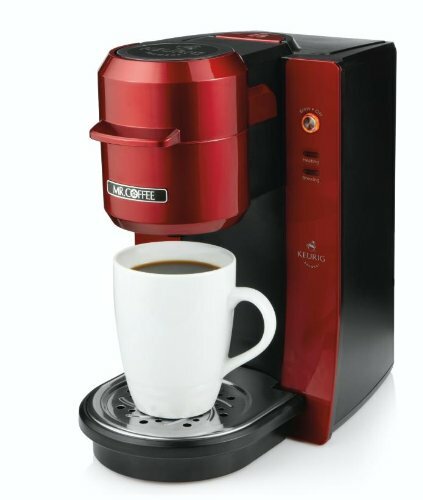 Many of the reviews about this coffeemaker have also pointed out that the product is stylish. This will be an excellent accent piece wherever it is going to be placed. Whether it is for your home or your office, it will surely be an aesthetically-pleasing option. Lastly, it is also good that it comes with 5 K-cups. This might be less than what you can find from other models, but this is already good given the fact that its price is hard to beat. To easily differentiate the options that are available on the market, make sure to consider the factors that will be mentioned below. This is one of the most important things that should have an impact on the choice that you are going to make. More often than not, a reputable brand would also mean that you are going to enjoy a dependable product. In this case, some of the most popular brands that you might want to consider include Keurig and Mr. Coffee. Both of these brands utilize state-of-the-art technologies to provide their products with an edge above all others within the competitive landscape. They have also been given five-star ratings by their users, providing you with the confidence that they can deliver superior functionality, one that is going to be hard to match by the competition. No one wants to have a one cup coffeemaker that will only last for a few months. This is especially true if you are buying an expensive unit. It is just natural to anticipate that it will be able to withstand many years of use. The durability of the coffeemaker will be affected by the materials that are used. Some are made from plastic components. They can be cheap, but the problem is that they can be flimsy, and hence, they might be easily subjected to wear and tear. More than the materials that are used, you should also ensure that proper cleaning and maintenance is done to prolong its functional life. For most people, control is one of the most important things when it comes to their coffeemakers. With this, one of the things that should be noted would be the ability to control the strength of your brew. Do you want it to be light blend or heavy and robust? It will be good to choose a product that will provide you with options for customizing your coffee. More often than not, they will come in the form of dial or buttons wherein you can easily select the brew setting that is preferred. In most instances, the more brew settings there are, the more expensive the product can prove to be. Even for a one cup coffeemaker, it is important to have a large tank. Obviously, the bigger the tank is, the bigger the coffeemaker will be. Therefore, consider the size of the countertop first to decide which size is right. If you want to enjoy convenience, it would be best to choose a larger tank. This means that you will need to spare too much effort in having it refilled. It will serve as your reservoir. If the tank is small, you will have to refill it every now and then. A generous tank size is especially good if the coffeemaker will be used in the office. It will also be best to choose one that is multifunctional, making it useful for a wide array of applications. Yes, it is a coffeemaker, but this does not mean that it must be only used for making your coffee. If you want it to be an investment that is worth every dollar spent, make sure to pick one that has several brewing options. Some can be used even for making tea. You must also have the option to brew in various forms, such as through pods or loose leaves, aside from coffee grounds. A lot of people may be hesitant in purchasing a one cup coffeemaker because of the assertion that it can be complicated. Seeing the machine for the first time can already be intimidating and you might think that it will be difficult to use. With this, it is also paramount to make sure that it is going to be user-friendly. It must have a straightforward design, allowing you to easily have it operated. The manufacturer must be able to provide detailed instructions on how you can make the perfect cup all the time. The buttons must be carefully laid out and strategically-placed for ease of access. It will also be good if there is a small screen that will display the information that you need to know, such as the specific of settings. More than just being easy to use, you should also find one that is going to be effortless to clean and maintain. Keep in mind that regular cleaning will be necessary. Otherwise, the functionality of the coffeemaker can be negatively affected. This is especially true if you use hard water from the tap. This can result into sediments that can affect the taste of your coffee. When cleaning, make sure to follow the instructions provided by the manufacturer. See to it that the unit is dry before having it stored. Generally speaking, most of the one cup coffeemakers on the market have one year warranty. Some might have three to five years of warranty, or even Limited Lifetime Warranty. The longer the warranty coverage is, the more expensive it is most probably going to be. Within the warranty period, any problems with workmanship will be covered by the manufacturer. This means that they can have your one cup coffeemaker repaired without costs on your end or they can have it replaced, depending on what were specified in the terms. Nonetheless, keep in mind that if the defects are due to your negligence, such as if it has been accidentally dropped, the warranty will be voided. Make sure to carefully read the conditions for the warranty to be honored. Before you make a choice, you should find the time to go online and research about the reviews that have been shared by other people. Fortunately, there are many users of one cup coffeemakers who are generous to share what they know about specific models. They often write reviews in websites like Amazon, showing you the good and the bad about a specific product. Nonetheless, do not be lured by false reviews. It would be best to also ask around from people you personally know who have bought coffeemakers in the past. Ask them for sincere recommendations on which one should you pick. Like in the case of buying any other product, there will surely be temptations to buy the cheapest option that is available on the market. However, you should be intelligent enough to base your decision not only on price, but based on other important factors as well. It will also be wise to check out at least three to five models and have them compared on the basis of their price. Generally speaking, the more features there are in a product, the more expensive it is going to be. If you are looking for one that is budget-friendly, get settled with the ones with basic features. However, we suggest that you consider your one cup coffeemaker as an investment. Therefore, spend if you must, especially if this means that you will be able to enjoy a product with superior quality. If you are the type of person who drinks coffee a lot or if the one cup coffeemaker is going to be used in the office, you should choose one that is energy-efficient. This means that the power consumption must be minimal. Take a look at the wattage or the voltage of the machine. However, keep in mind that if the wattage is low, the power is also going to be sacrificed. Find the perfect balance between the amount of energy that is consumed and your requirements. If it is going to be used at home, you are good with one that consumes less power. Make sure as well that there are features like automatic shut off, which will help you to save power. There are many things that will have an impact on the quality of your coffee. The most important would be the coffee beans. Water, meanwhile, will also have a critical role. You have to use clean and filtered water. Otherwise, there could be alterations on its taste. With this, it is important to choose one that comes with a filter. This is going to offer an effective filtration system to get rid of the contaminants that are present in water, resulting into coffee with cleaner and better taste. For modern homes and offices, it is also critical to choose one that is filled with innovative features. For instance, there are some that can read barcode, which will eliminate guesswork. Based on the readings, it will be able to automatically optimize its functionality to operate at its best. 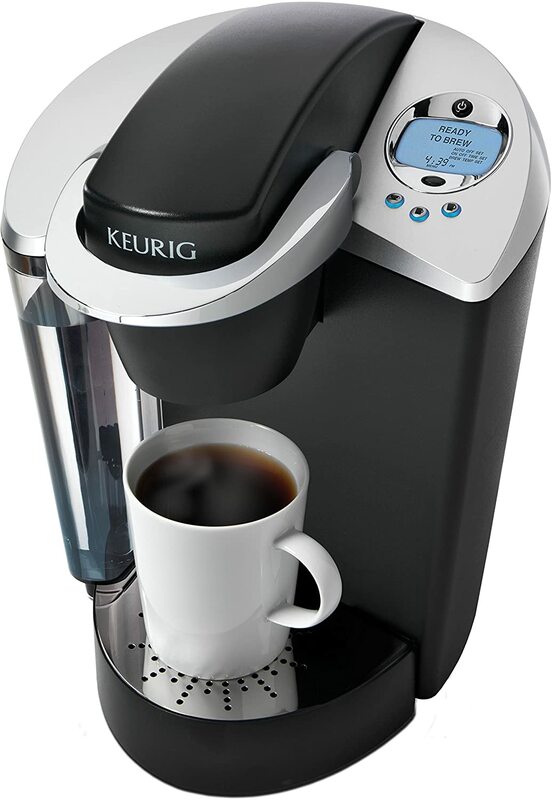 Some, instead of pods, use the legendary K-cup technology from Keurig. They are known for being quick to prepare, and more importantly, for the variety that is offered. You can enjoy a variety of flavors. There are some products that can immediately captivate your attention from the first time that you see it. For instance, if you are walking past through a store selling coffeemakers, there will be one that can make you take a second look. With this, when deciding on which one to pick, always keep aesthetics in mind. Choose a style that is going to be perfect for the kitchen, office, or in any room where it is going to be placed. Color should be a primary consideration. Black or any earth tones will be perfect for a sophisticated appeal. For a more vibrant space, a splash of color won’t hurt. Nonetheless, keep in mind that aesthetics is only a secondary consideration. Do not choose one only because it looks beautiful even if functionality is compromised. With too many options for the best one cup coffeemaker, which one should you pick? Should you decide on the basis of price? Or, should you pick one based on the reputation of the manufacturer. At the end of the day, it is important to have the time and effort necessary to narrow down the possibilities and see how one product is better than others within the competition. Be responsible enough to do your research. If you have no idea which one to pick, stop guessing. Go back to the models we have earlier recommended. In our short reviews, we have discussed some of its best features, providing you with reasons to have these products considered. We are confident that you will not have regrets if you pick these options. Based on the opinions of other users and from our independent evaluation, these brands and models will indeed be hard to rival.